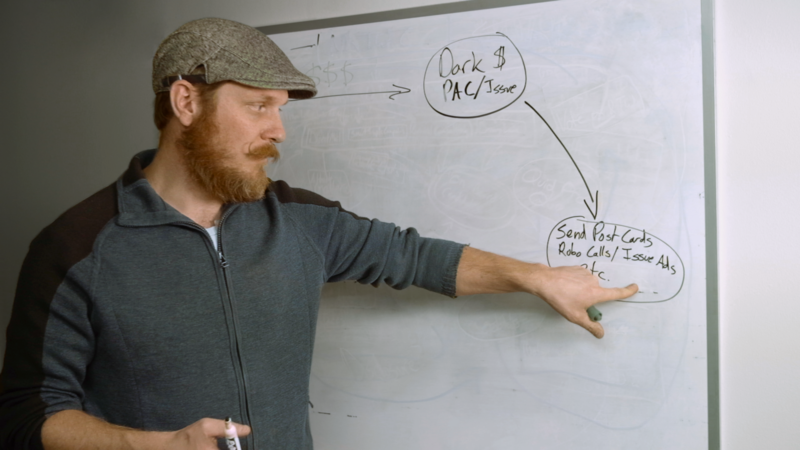 A film that’s showing in select cities across the country, including this week in 4 Montana cities, documents how undisclosed political campaign contributions, attack mailers against targeted candidates and secret documents have infiltrated our political campaigns. The floodgates opened after the 2010 U.S. Supreme Court ruling commonly known as Citizens United dismantled decades of campaign finance laws. That allowed money to flow, often in secret, to certain political organizations. And that’s what Billings-attorney Gene Jarussi was tasked to find out. He came out of retirement and became a special attorney general to examine whether candidates violated Montana’s campaign finance laws. And if there was a case, prosecute them on behalf of then-Commissioner of Political Practices Jonathan Motl. Jarussi said after examining over 70,000 documents, he concluded Montana was among the states targeted by the National Right to Work group. “Stop me if I’m getting a little bit far afield, but I think all of us understand that a person runs for the legislature in Montana, they’re elected and they fully expect when they’re serving in Helena to have a lobbyist for some group come up and ask them to support or not support a certain bill,” he said. What the group wanted: laws that prohibited forced union membership and payment of union dues as a condition of employment. 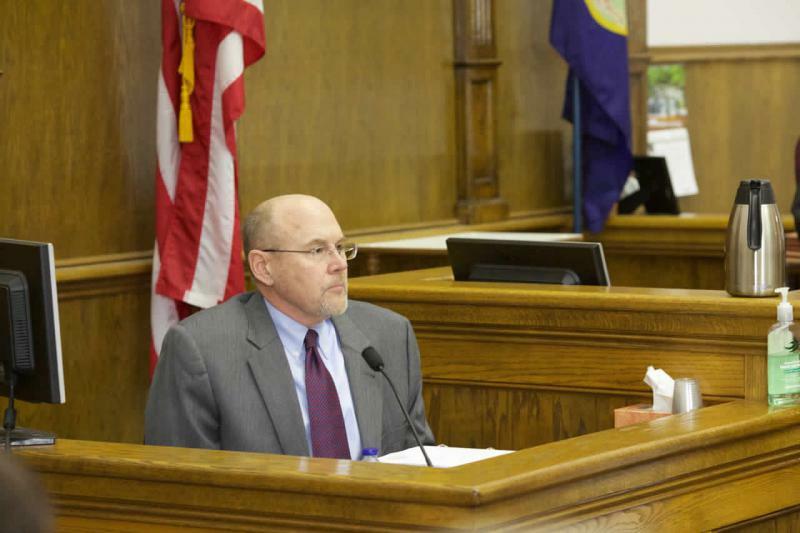 State-appointed special attorney general Gene Jarussi, foreground, during the court hearing where he led the prosecution's civil trial against former Republican Senate Majority Leader Art Wittich, in the background, on charges of violating Montana's campaign practice laws during his 2010 primary election campaign. The jury's guilty verdict was upheld in 2017 by the Montana Supreme Court. 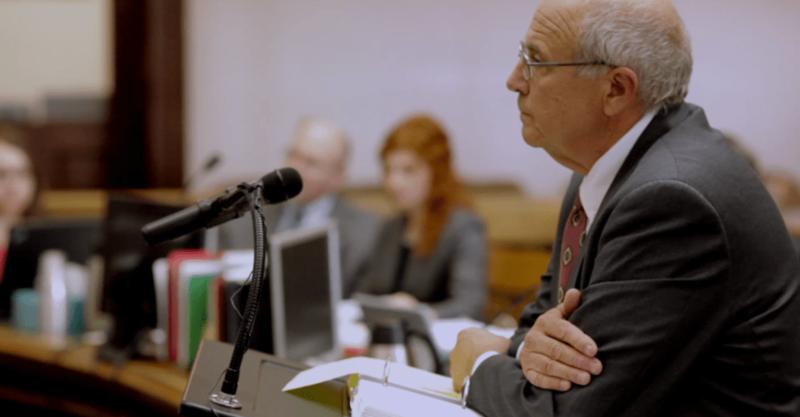 The film shows Jarussi in the case against former Senate Majority leader Art Wittich. The Bozeman Republican was accused of illegally benefitting from corporate contributions and services from groups tied to the National Right to Work Committee. all but one of the cases have been settled. The case against Terry Bannan, a former legislative candidate from Gallatin County, is set to go to trial this fall. Filmmaker Kim Reed said the unfolding of events that took place in Montana post-Citizens United are a case study of how these groups operate. 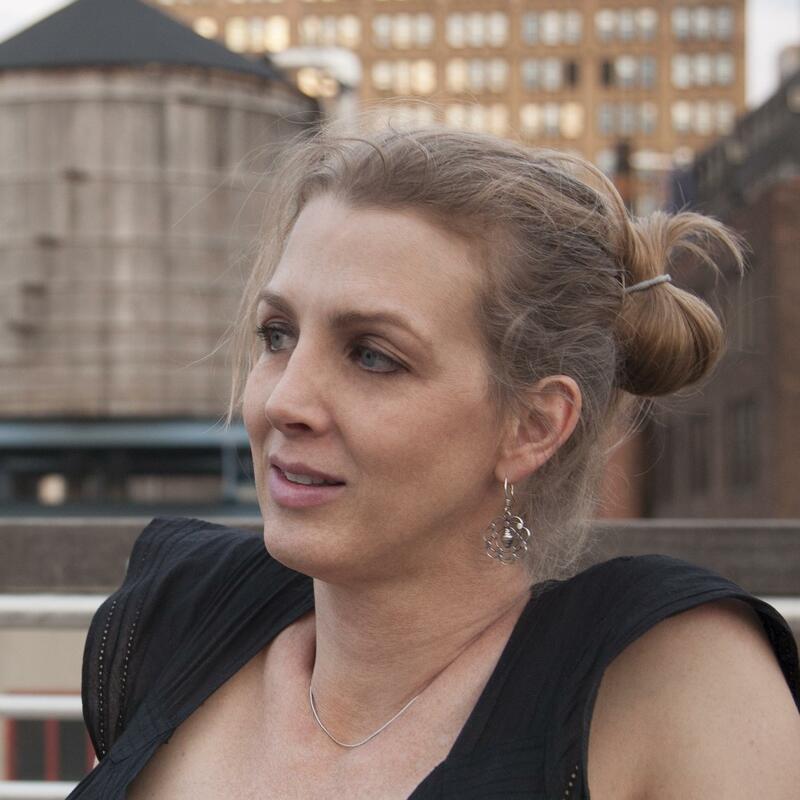 Kimberly Reed, Director of Dark Money. “I started working on the film in 2012 and followed 3 elections cycles in ’12, ’14 and ’16 and now that we’re up on ’18 the same pattern that I personally observed is just abundantly clear,” she said. 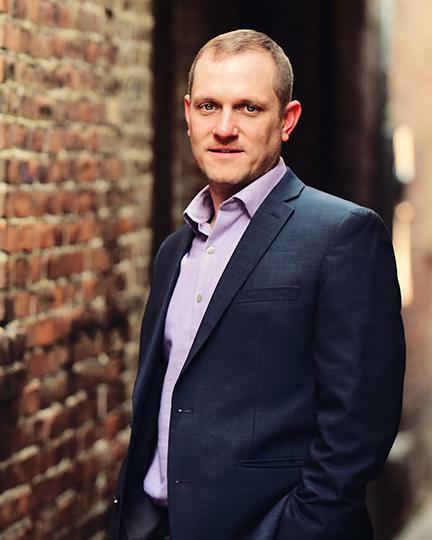 Reed, a Montana-native, is scheduled to appear at some of the screenings with a few of the subjects of the film during its viewing in Billings, Bozeman, Helena, and Missoula. PBS is also schedule show the film this fall, before the mid-term elections. A high profile political corruption trial is scheduled to proceed March 28, 2016 now that the Montana Supreme Court denied an appeal in the case. 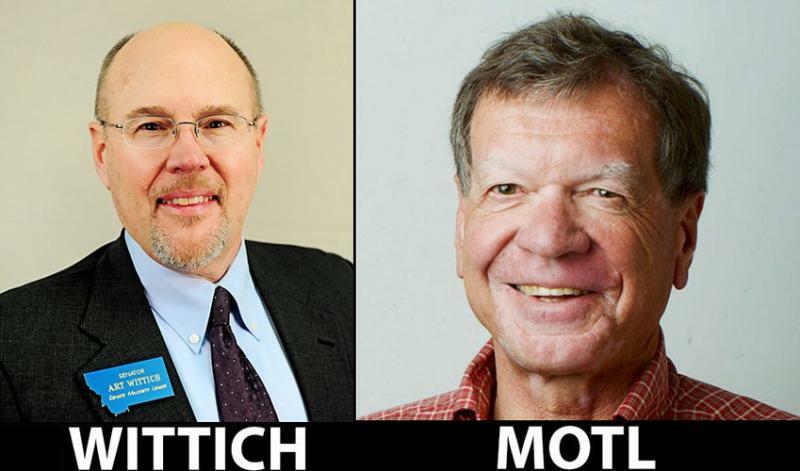 Investigative Reporter John Adams of Montana Free Press has been covering the legal maneuvering in this case featuring state Representative Art Wittich, R-Bozeman, and Commissioner of Political Practices Jonathan Motl.